Community events are a great time to bring folks together to accomplish a specific task or just to socialize. A perfect way to lift the spirits of your neighbors and get everyone chatting is to rent a small dumpster for your block and organize a “Save Your Space” day. Neighbors can toss out broken or old lawn furniture and outdoor items as well as anything they want to remove from their home. Creating more appealing space makes for a more content mind and who doesn’t want happy neighbors? The only thing to remember with a dumpster rental is that electronics and appliances need to be recycled within township programs and things like paint or chemicals have to be eliminated in very specific ways. These items can not be placed inside a dumpster rental. With same day delivery, your cheap dumpster can be there fast so you can get started on this project immediately. After the event, call your same day dumpster rental service and they will pick up the dumpster and properly dispose of all debris. Our facility offers same day dumpster rental service in Warrenville. This location provides a 5 YRD, 10 YRD, 15 YRD, 20 YRD and 30 YRD dumpster for rent. We bring the dumpster via our company trucks and retrieve them when your rental time is complete. We also provide boards to protect your driveway or surface area. 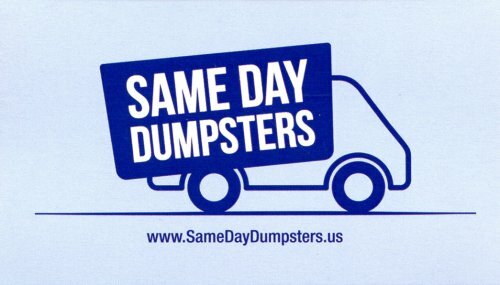 Same Day Dumpsters is a family owned and operated company that has been serving the Warrenville area for several years. We pride ourselves in offering high-quality dumpsters quickly and efficiently to serve any request. Whether you have a planned construction project or find yourself needing a cheap dumpster that afternoon because your basement flooded, we have you covered. Our Same Day Dumpster Rental team go the extra mile to make sure you and your projects are top priority. 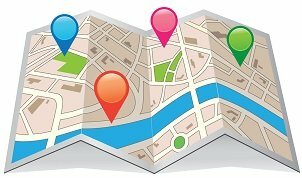 Conveniently located in Burr Ridge, Illinois, we are able to access the Warrenville area with lightning quick speed. We have experience serving the needs of fellow Warrenville residents such as yourself and are easily adaptable to any dumpster rental request you may have. Our team is geared towards making your project a success and we strive towards making the time you rent a dumpster as easy and stress-free as possible. If you are a contractor or construction company finding yourself in need of a dumpster rental company in Warrenville, give us a call. We can accommodate your large renovations, new building project and demolition rubbish removal needs. Our variety of dumpsters can handle your industrial materials and concrete debris. With same day dumpster rentals, we can have that container in and out of your job site quickly and efficiently. So, no matter if you are doing a large commercial roof tear-off or tearing up a foundation, Same Day Dumpsters can help get the job done.